Welcome to Cabo Pangas - A website set up for our local captains that own and/or run their own panga boat charters. This site was created several years ago. It is being updated to assist the locals so they can have internet exposure, a US contact point and lastly a way for them to book their boats through reservations. 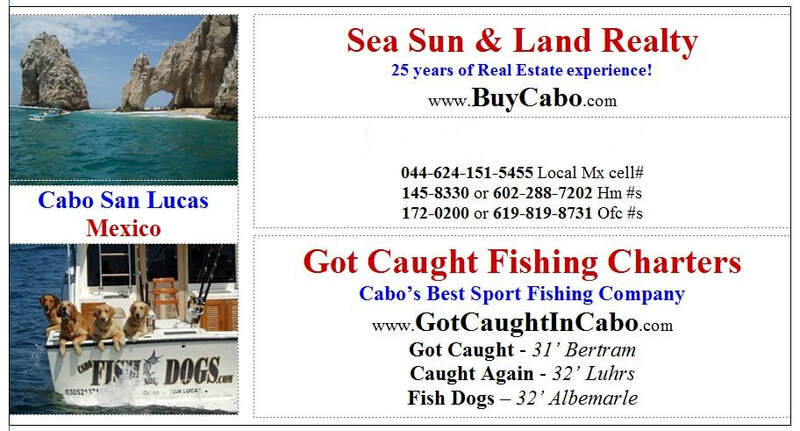 For many years I owned & operated Got Caught Fishing Charters and during that time I had created "CaboPangas.com". A few of my close captain friends gained better international exposure. We are adding pangas to the site and will attempt to list any panga that wants/needs access & exposure. If they are not listed please ask us to contact them by providing appropriate contact information you may have, captain & boat name, recommendations & testimonials. Thank you, Cabo Pangas services. If you preferred the old site click this link. CaboPangas.com original. Cabo San Lucas Connection. 25 years experience & history in Cabo! ​√ Basic General Information about ANYTHING to HELP YOU! ​√ Real estate referrals are the ultimate goal! ​√ As is your complete enjoyment while in Los Cabos! Cabo weather above. May have to click above "activate adobe flash". Cabo Pangas helps connect the anglers with various Panga charter services in Cabo San Lucas. 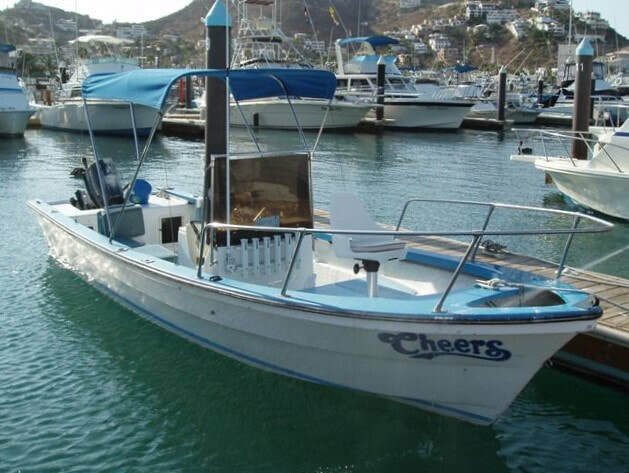 We deal primarily with boats in Cabo San Lucas and the main marina of Cabo. The more specific you can be will help us coordinate your charter(s). Know that fishing from a panga is more hands on style fishing, typically in closer to shore & the shoreline, catching different fish types than offshore. It's a different fishing experience than offshore. Please know that the captain/crew will take care of everything for you, that you simply need to tell them how involved in the process(es) you want to be, from as much as possible to "hand me the rod when a fish is on!" Fishing offshore is often done on pangas, as well, for those interested, depending on conditions and interest. Inshore fishing typically consists of Yellowtail, bonita, Amber Jack & Jack Cravelle, pargo, Sierra (often called Mexican wahoo), Roosterfish, Grouper, Sea Bass, with scattered dorado & occasional wahoo and such? 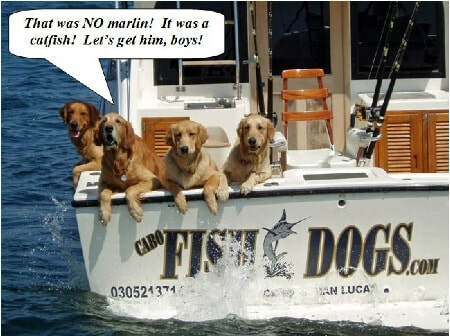 Marlin can be caught occasionally within a 1/2 mile. ​Offshore fishing is Marlin, Sailfish, Dorado, Tuna, Wahoo & even Swordfish, to list primary fish. ​...knowing the more specific you are the easier it is to make reservation(s) for you. Boats are standard pangas that the say are 23', many locals call "Super Pangas" which essentially is a 19-20' center console style boats that including the pulpit & transom areas measure the 23' or 25' pangas which I'd call actual "Super Pangas". * 23' panga prices are typically $35/hour, 5 hour minimum, for 1-2 people on boat. (actually permitted for a 3rd person at typically a $5/hour additional charge). * 25' pangas will take 1-3 persons and are $40-45/hour, 5 hour minimum (able to take a 4th person​ for $5/hour more). ​* 26-27' pangas, twin engines will take 1-3 persons basically starting around $300. Boats like Loco Gringo, Tres Amigos & Fly-fishing with LaMosca are in this group. Please know that adding the additional person you should consider size of other anglers and is typically used when kids or smaller adults are interested. ​We hope this site is helpful and informative while helping our charter captains book more charters, easier.